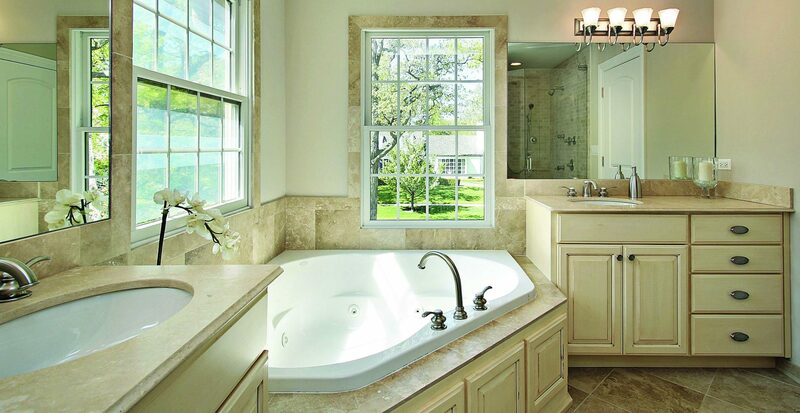 Electric heated floors are particularly popular in small spaces such as bathrooms. Understandably, one of the questions people have regarding electric underfloor heating in a bathroom is whether the system is safe, taking into account the fact that water and electricity are a dangerous combination. The simple answer is yes, electric heated floors are a safe form of heating. This article expands on why and discusses the regulations of electric systems at home and the 30-year old warranties Warmup underfloor heating is guaranteed with. IS IT POSSIBLE TO GET AN ELECTRIC SHOCK FROM ELECTRIC HEATED FLOORS? Worries about the chance of an electric shock? We explain next why this is almost an impossibility. The wires have gone through a rigorous R&D process and we end up with a truly safe product. Read more about our R&D Department. Besides, every heater is individually tested at 5000 volts before it is shipped. 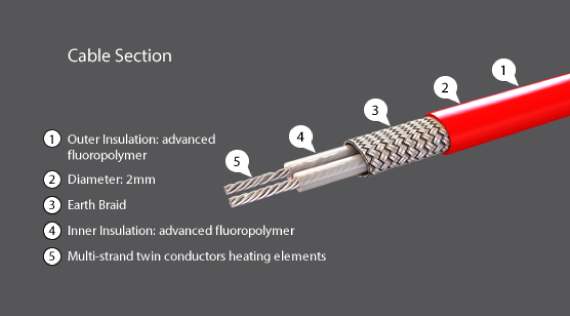 When it comes to the design of the electric heating cable, the wires are surrounded by a sheath, which will redirect any current leakage away from the floor finish and therefore the user. The heating cable is cULus approved meeting the highest safety standards and furthermore, it is very quick and easy to install. The Warmup wire is the thinnest dual-fluoropolymer coated multi-strand heating wire on the market with a heating cable that is only 1.8mm in diameter, so it will not raise the floor levels. Warmup heating cable has four different layers. The two internal wires are twin conductors which means that the magnetic fields cancel out reducing interference and potential for induced currents in other household electricals. The second layer is for the inner insulation of the wires made of advanced fluoropolymer. Third layer is covered with Earth Braid. The Warmup Earth Braid is a copper sleeve that makes the wire flexible and more durable. Earth Braid has a higher conductivity rating than conductor wires in the case of a short circuit. This means that the power will be safely conducted down the sleeve, rather than just blowing up or shocking any item (such as a drill, in case someone for example drilled through the floor) that has pierced it. The outest layer of the cable is again advanced fluoropolymer, making sure that the cable is extremely safely insulated. HAVE THE ELECTRIC HEATED FLOORS WIRES BEEN TESTED? The wires in the Warmup electric underfloor heating systems are designed to conform with electrical regulations not only in the United States, but also in Europe and the rest of the world. Subsequently, the Warmup underfloor heating has numerous test certificates from electrical test houses from around the world. Warmup holds test certificates for: UL, CSA and ETL. A further safety bonus of electric underfloor heating is that the heat radiating from the floor does not only increase comfort levels but also ensures an improved air condition in a room as opposed to other heating systems. Being predominantly radiant heat the underfloor heating heats “bodies” within a room rather than the air, keeping the air fresh whilst warming you up. Other conventional heating systems heat the air around the heater leaving cold spots in other parts of the room. This is because conventional heating needs conduction and convection for the heat to circulate thoroughly throughout the room. Circulation of air does, however, increase the movement of dust which can cause breathing problems in allergy sufferers. Conventional heating reduces also the humidity of the room, making the air dry and uncomfortable. Underfloor heating is, therefore, a highly recommended heating system for allergy sufferers. On a final note and to summarise it all, the Warmup underfloor heating systems are designed to be very safe. The Warmup installation manuals ensure a guideline for a safe, best-practices installation and use of safety equipment. All systems need to be tested after installation by a certified electrician to ensure guidelines have been adhered to and that the underfloor heating works flawlessly for years and years to come.